Whoever came up with the Target Dollar Spot is a genius. It’s my favorite part of the store. 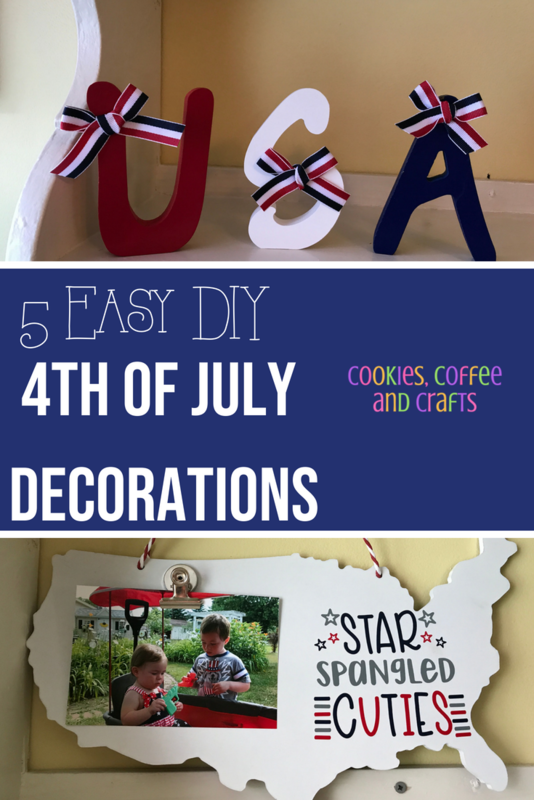 I couldn’t believe all the adorable stuff for 4th of July, all the red, white, and blue. As soon as I saw it, I knew I had to have it. It’s cute as is, but I decided it needed a little more to be red, white, and super cute. Here is what I did for each item to give it some extra sparkle. 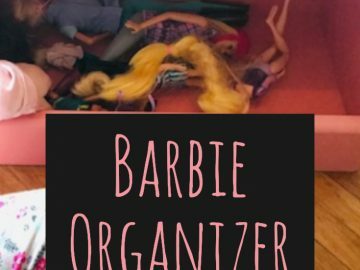 For anything cut in vinyl, I used my Cricut Explore. I added red and white vinyl stars to the sign. I just added them to the sign like a sticker. First I did the red stickers (I always lay everything out first) and then I did the white stickers. 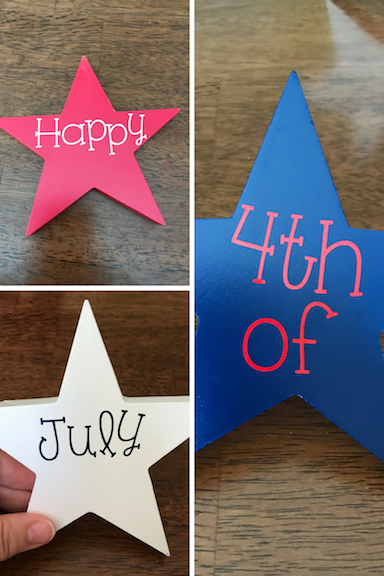 If you don’t have a Cricut, you can use star stickers from the store. 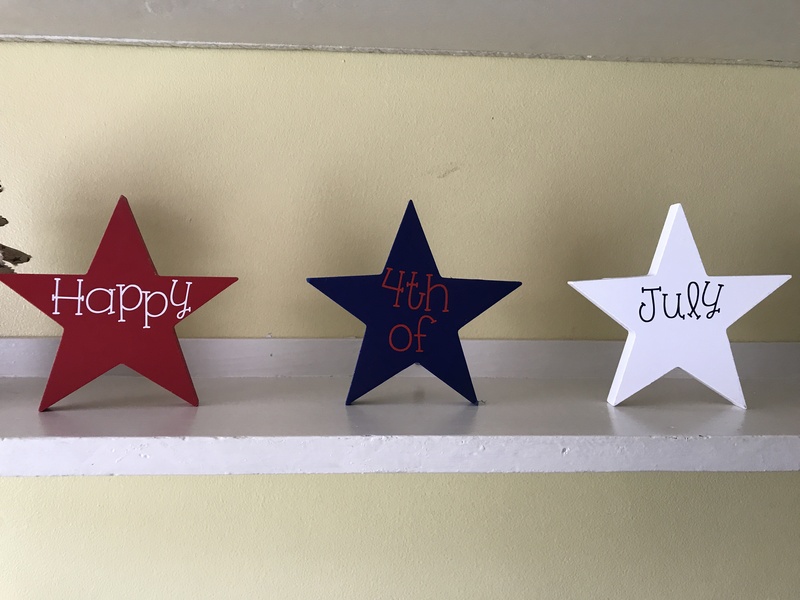 For the stars I added the words Happy 4th of July in vinyl. I used the font KG One Thing. For the letters USA. 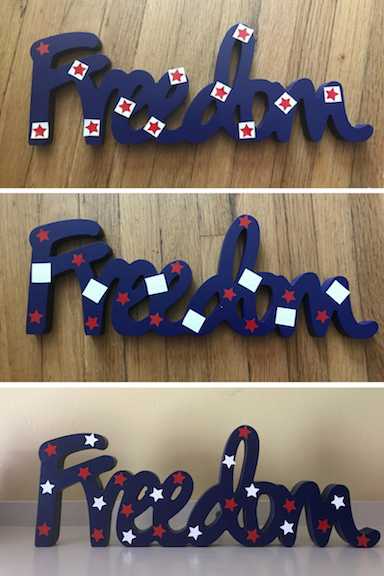 I added a bow to each letter in red, white, and blue. I bought the ribbon at Hobby Lobby. 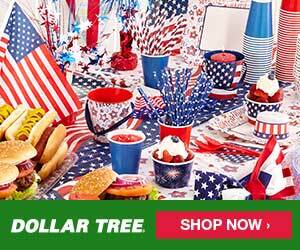 The best thing about Hobby Lobby is that in the regular ribbon section, they have holiday ribbon. So I was able to get the striped red, white and blue ribbon for 50% on sale. 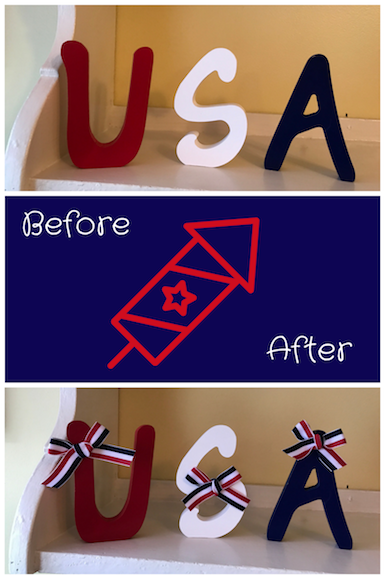 Then I hot glued the bows to the letters. I did each of the little lanterns differently. On the silver lantern I added the red and blue pom poms that I had taken off the USA map. On the blue lantern I tied burlap ribbon around the handle and I just left the red one plain. 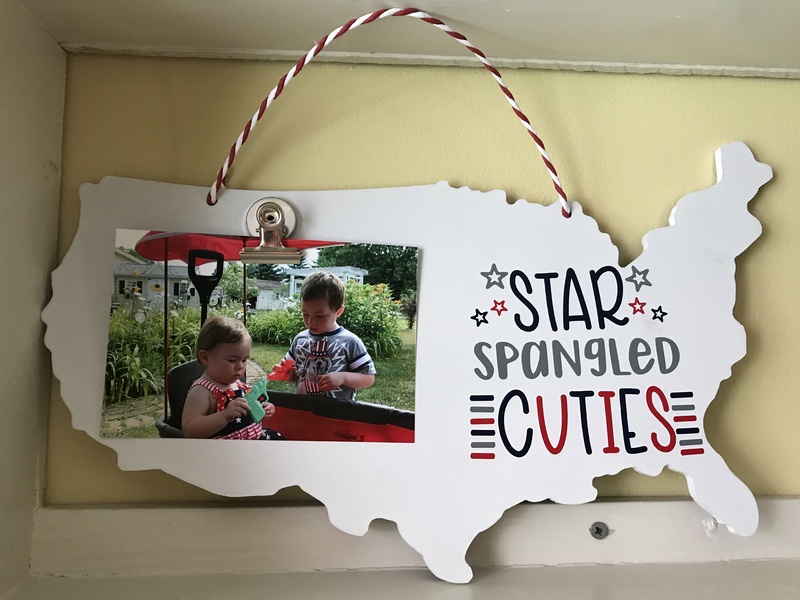 For the USA Map, I created a 4th of July Picture Frame and here is the link for my blog post about it.